This is a confirmation step. It lets you to verify all the basic options you have chosen for restore procedure. Figure 18. Ready to restore. To check if all restore options are correct look through the confirmation area (Figure 18; Pos 1). If you need to change selected options, click Back. If everything is correct, click Next (Figure 18; Pos 3) to start the restore process. 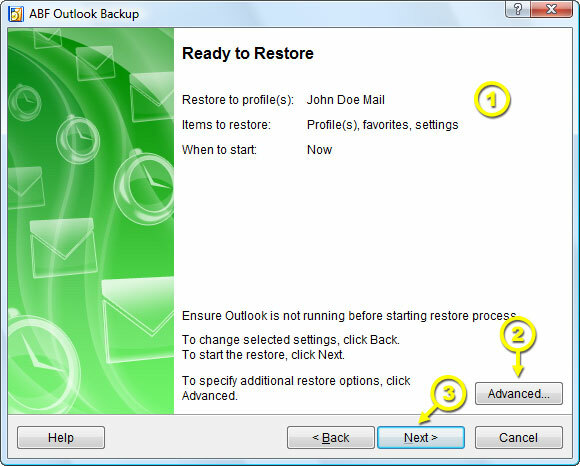 If you want to set up advanced restore options, click Advanced (Figure 18; Pos 2). Warning! 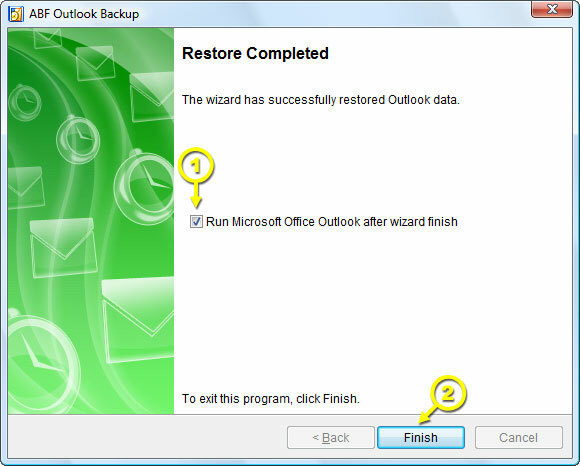 Before starting restore process close all instances of MS Outlook. After restore process is finished Restore completed window will appear. Finish (Figure 19; Pos 2).